This week, Missy Elliott made history as the first female rapper inductee to the Songwriter's Hall of Fame. Canadian hip-hop pioneer Michie Mee tells us why she's celebrating. 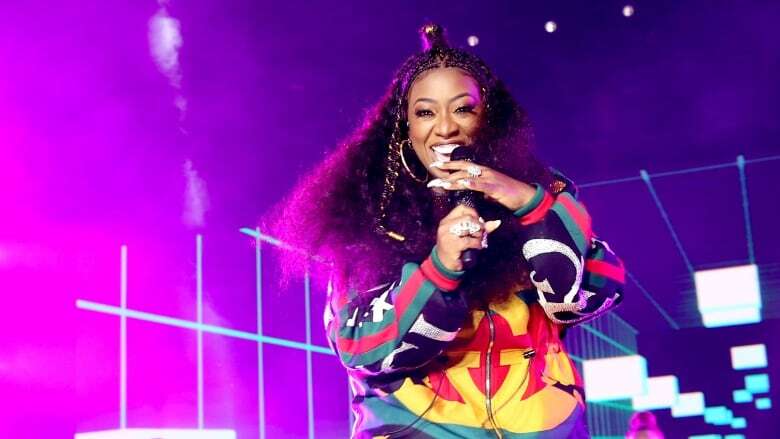 Missy Elliot made history last Saturday when it was announced she would be the first female rapper to be inducted into the Songwriter's Hall of Fame. The five-time Grammy-award winning artist has been an influential powerhouse in the music industry for over 20 years. While Missy Elliott has built an exemplary career for herself, over the years she has collaborated with artists like Whitney Houston, Janet Jackson, Destiny's Child and Lil' Kim. She also wrote chart topping hits like Ciara's 1, 2 Step, Aaliyah's One in a Million, Mya's My Love is Like ... Wo, Destiny's Child's Confessions and 702's Where My Girls At? One of Canada's own legendary hip hop artists, Michie Mee, says Missy Elliott is unique and throughout her career has understood the importance of collaboration. "My reaction when I first heard Missy Elliott was inducted was, 'Oh my God, this hasn't happened before?'" Michie Mee told Day 6. "I was just so happy that a female rapper could be noted to have this position and be inducted." Michie Mee, a trailblazing, award-winning female rapper herself, spoke to Day 6 about Missy Elliott's impact, not only on her own career, but on the future she has helped build for emerging female hip-hop and rap artists. "Hip hop took a long time to be noted on the radar, and Missy is a part of it now and that's going to influence a whole lot of other young women," Michie Mee said. To hear more from Michie Mee, download our podcast or click 'Listen' at the top of this page.